Terroirist: A Daily Wine Blog » Daily Wine News: What Does the Future Hold for Wine? 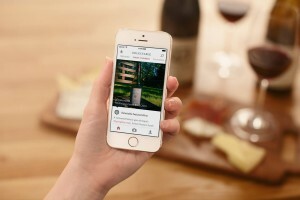 Daily Wine News: What Does the Future Hold for Wine? In Wine-Searcher, W. Blake Gray profiles a family whose lives remain perilously dependant on the upcoming Supreme Court ruling, Tennessee Wine and Spirits Retailers Association v. Blair. What’s up with the pop-up wine bar boom? Megan Krigbaum investigates in PUNCH. The Wine Institute answers a few questions about the TTB shutdown. In Wine-Searcher, James Lawrence ponders what change 2019 could bring to wine. Chris Mercer is also predicting 2019 wine trends for Decanter. 1WineDude Joe Roberts explores the deceptive complexity of Moscato d’Asti. In the Washington Post, Dave McIntyre explores how a new book about politics— Prius or Pickup? : How the Answers to Four Simple Questions Explain America’s Great Divide by Marc Hetherington and Jonathan Weiler—can also be applied to wine. Grape Collective talks with Rocco Vallorani, one of southern Marche’s star winemakers, about the evolution of his region.